It's time for a new TTC challenge over at Scrappy Moms Stamps. This week we are doing a tinsel challenge....use silver or gold on your project. 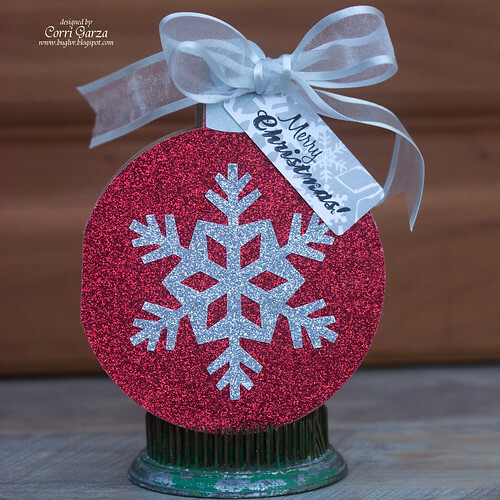 For my project today, I cut Lori Whitlock's A2 Ornament card and some glitter paper from American Crafts. Head on over to Scrappy Moms Stamps to play along.